Million Dollar Views!! 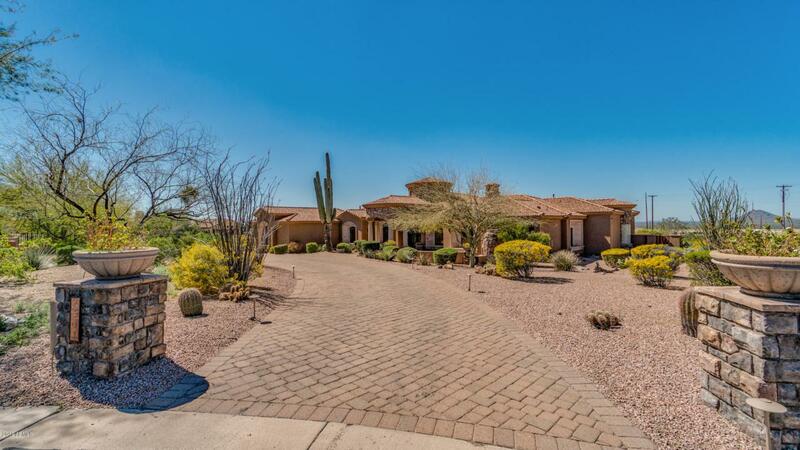 This majestic single level custom home sits on over an acre w/spectacular UNOBSTRUCTED City Light and Mountain Views in the prestigious gated golf course community of Las Sendas. 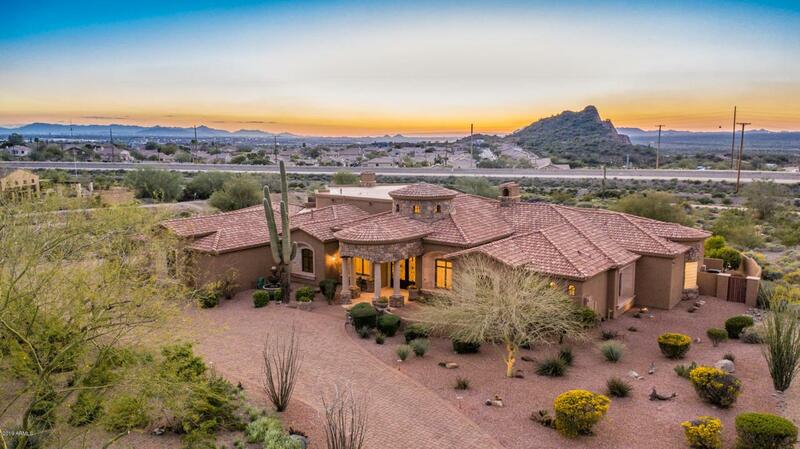 Greet your guest in the Grand Foyer w/Cast Iron Door, Vaulted Ceilings and Spectacular Views framed in the Expansive Windows in the Formal Living Room w/Cantera Fireplace. Chef's delight Gourmet Kitchen w/Premium SS Appliances, Double Ovens, 6 Burner Gas Cooktop opens to large Family Room w/Incredible Views. 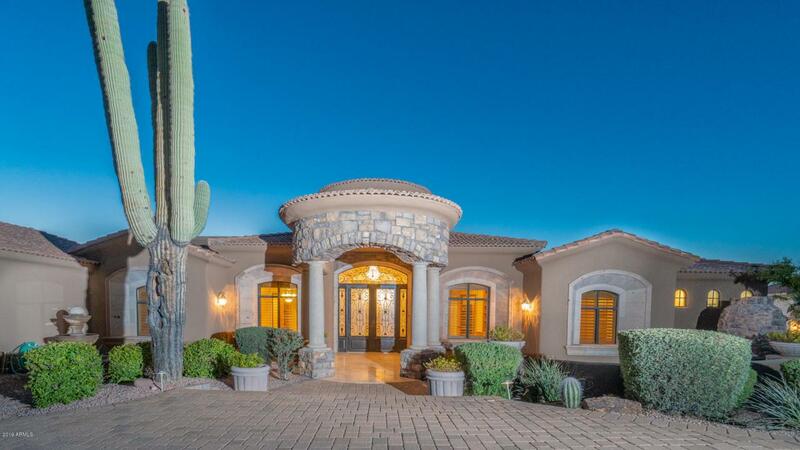 Unwind in your Private Sauna in Master Suite or relax on the Huge Travertine Patio w/Built-in BBQ, Sparkling Heated Pool/Spa or take in the Breathtaking Sunsets, Stunning Red Mountain and Twinkling City Lights. 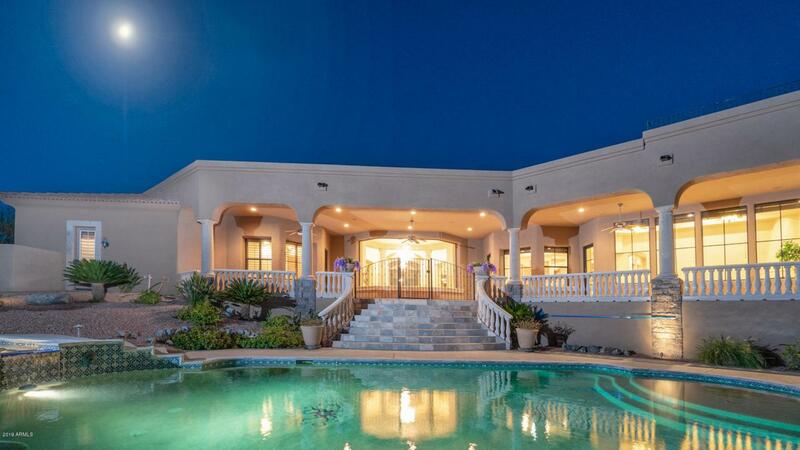 Enjoy Panoramic views from your Private Roof Top Patio. Listing courtesy of Kor Properties.